Here you'll find resources for you and your clients, sales tips and the latest from The Hartford, PIA's preferred flood insurance provider. For an overview of all PIAK posts, visit our "Blog Post Library List" at "All Blogs"
Top tags: Flood insurance FEMA flooding NFIP agent prep preparation spring study survivor tips trends U.S.
On July 31, the U.S. Senate joined the House in passing a four-month extension of the National Flood Insurance Program (NFIP), to Nov. 30, 2018. President Trump quickly signed the measure into law. As a result, a lapse of the NFIP was averted by a matter of hours. Millions of Americans woke up on July 31 not knowing whether congressional inaction would leave the flood insurance program they rely on hobbled in the height of hurricane season. The passage of a clean extension is positive. That said, waiting until the last minute to act should be a thing of the past. Congress now has four months to work to find a way to provide a long-term re-authorization of the program. That work should begin today. PIA has been actively working with Congress for more than a year to encourage the long-term re-authorization of the National Flood Insurance Program (NFIP) with needed reforms. However, as both the expiration deadline and the height of the Atlantic hurricane season approached, PIA endorsed a “clean” extension of the program for as long as possible, to allow lawmakers time to continue to find areas of agreement on important reforms. The history of NFIP extensions is a long one. The program was extended 17 times between 2008 and 2012 when the previous five-year re-authorization was signed into law. The program lapsed four times in 2010 and 2011, once for more than a month. The tendency for Congress has been to postpone action on flood insurance absent agreement. It’s a tough issue to resolve. Allowing the NFIP to expire can never be an option, but multiple short-term extensions and short lapses in the program mean the real work of reform has yet to be done. In late 2017, the House did pass a bill, the 21st Century Flood Reform Act (H.R. 2487). This bill would provide a five-year re-authorization and includes PIA-supported reforms, such as overhauling the flood mapping process, allowing the use of more precise risk-assessment tools to determine premiums, and creating an appeals process for local governments or homeowners to challenge federal mapping decisions. Many of these items will benefit consumers and strengthen the future viability of the program. PIA ultimately opposed H.R. 2487 because of a short-sighted provision that would lower something called the Write-Your-Own (WYO) reimbursement percentage by two or three points. This reimbursement is used by carriers to pay administrative expenses as well as agent commissions, among other costs. Under such a scenario, carriers would likely be forced to pass any cut to the WYO rate on to agents through their commissions. Needless to say, for PIA such a provision was — and continues to be — a deal breaker. Congress has voted itself another four months to come up with a long-term re-authorization of the NFIP with bipartisan reforms. It is more than possible. PIA will continue to work with lawmakers to find common ground on reforms in a re-authorization of the program that recognizes the key role independent agents play in delivering it to homeowners and business owners. The private flood market is growing and profitable, according to Insurance Journal’s recent report on “Top Private Flood Insurances, 2017 Market Study.” Here are the top six facts from the report. – 1 – During 2017, the private flood market expanded considerably with 50 new companies reporting to the NAIC as writing private flood coverage. In total, insurers reported direct private flood insurance premiums written of $630 million, an increase of $217 million over 2016. – 2 – Though the flood insurance market saw many new entrants in 2017, 98 percent of the growth was attributed to five major carrier groups: Assurant, Zurich Re, FM Global, Liberty Mutual and Berkshire Hathaway. – 3 – The 2017 top five writers of direct written premium for private flood insurance in the commercial market were: FM Global ($263,281,599); Zurich Re ($63,839,162); Berkshire Hathaway ($27,603,275); RSUI ($13,224,505); and Allianz ($11,704,696). – 4 – The 2017 top five writers of direct written premium for private flood insurance in the residential market were: Assurant ($89,826,939); AIG ($58,245,862); Swiss Re ($41,571,428); Chubb ($9,977,894); and Liberty Mutual Fire ($8,849,770). – 5 – In 2017, 10 states experienced private flood insurance growth in excess of $5 million in new business written. These states represent 63 percent of all business written in 2017 – Florida; California; Texas; New York; New Jersey; Ohio; Louisiana; Massachusetts; Pennsylvania; and Georgia. – 6 – The private flood insurance market has been making significant in-roads during the past year when compared against the National Flood Insurance Program (NFIP). As of March 2018, NFIP premiums written reached $3.55 billion, an increase of $11 million over March of 2017. Combined, surplus lines premium and direct private flood insurance premiums written increased $250 million to $1.028 billion, gaining 22 percent of the overall market. The full report can be downloaded for free here: Insurance Journal’s Top Private Flood Insurers 2017 Market Study. 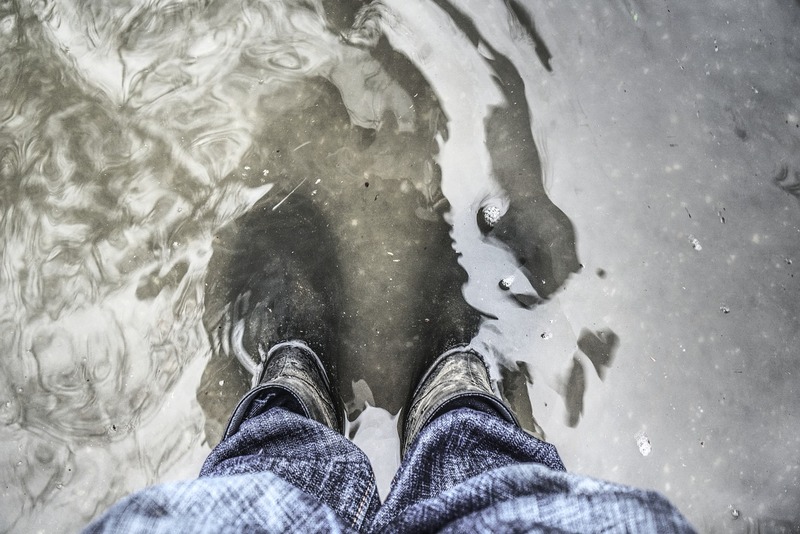 For many in the insurance industry, the state of the National Flood Insurance Program (NFIP) has long been a cause for concern. While some may dispute the best remedy for the debt-ridden federal program, insurers should note that change is coming. 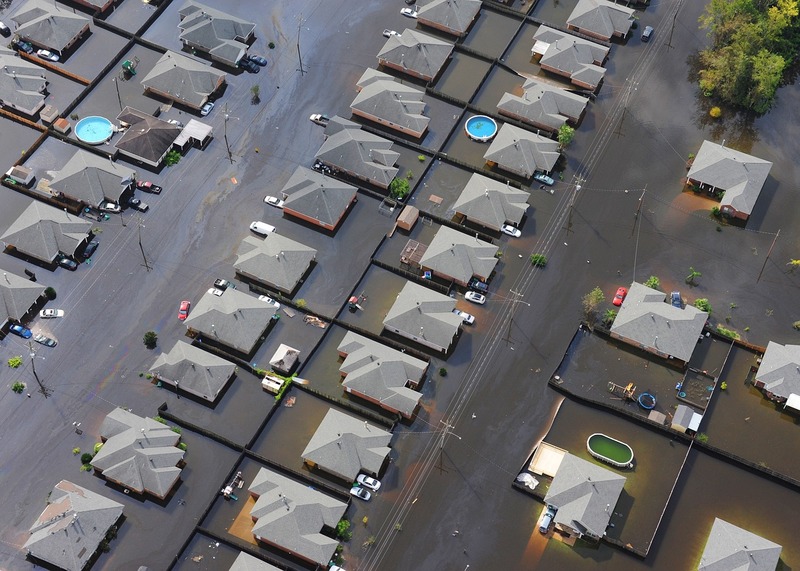 The NFIP provides critical flood coverage to more than 5.2 million property owners across the country, according to SmarterSafer.org, a national coalition of taxpayer advocates, environmental groups, insurance interests, housing organizations and mitigation advocates. Twice a year, the NFIP implements program changes. Some changes will become effective on or after April 1, 2018, while others go into effect at the start of 2019. Properties Newly Mapped into the special flood hazard area: Newly mapped policies are initially charged PRP premiums during the first year following the effective data of the map change. Annual increases to these policies result from the use of a “multiplier” that varies by the year of the map change; this multiplier is applied to the base premium before adding the increased cost of compliance (ICC) premium. As a result of the increases to the multiplier, premiums for newly mapped policies will increase 15%, with a total increase of 11%. The flood insurance market is full of complexities, but it’s up to insurers to understand the market. A complete guide highlighting the changes to the NFIP can be found on Aon National Flood Services’ website. In 2017, extreme weather increased in frequency and caused billions in losses. For example, Hurricane Harvey generated severe inland flooding and “changed the conversation from being a major hurricane to a major flood event,” according to Dr. Holly Widen, severe weather/climate researcher for RMS, during a live Twitter chat hosted by PropertyCasualty360.com and RMS, a catastrophe modeling firm. Just like Hurricane Harvey changed the flood conversation, communication to potential policyholders needs to change as well. Matt Nielsen, senior director, governmental and regulatory affairs, RMS, tweeted that homes should be evaluated by risk levels rather than if they’re “in” or “out” of a flood zone. Change will be a major driver that will help the private market for flood insurance grow. 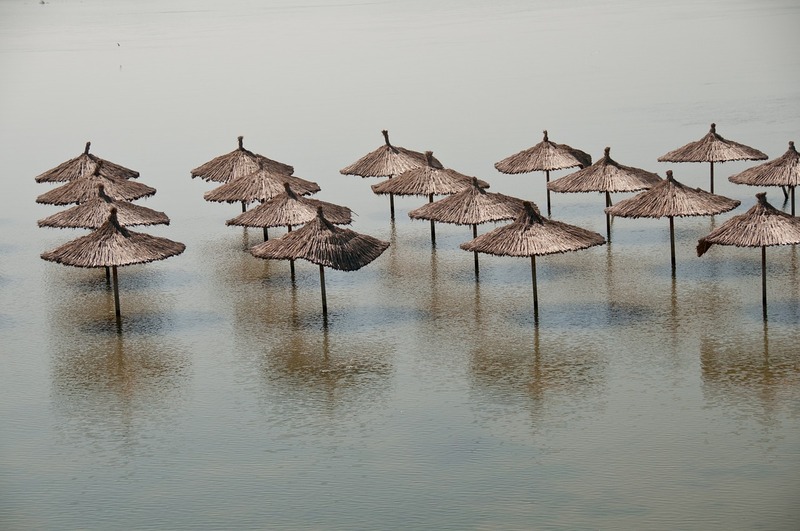 Swiss Re tweeted that “improved technology and more state level flood filings” will help the market prepare for floods. Continue to follow the conversation and stay up to date on what’s happening with flood insurance by following #PC360Flood or #RMSFlood on Twitter. Spring Thaw. Warmer temperatures and resulting snow melt can produce large amounts of runoff in a short period of time, as each cubic foot of compacted snow contains gallons of water. During the early spring, frozen land prevents melting snow or rainfall from seeping into the ground. The water then runs off the surface and flows into lakes, streams, and rivers, causing excess water to spill over their banks. Add seasonal storms to the mix, and the result is often severe spring flooding. Spring Rains. Spring storms can bring several inches of precipitation in just hours or can stall out over an area for days. These heavy rains can lead to severe flooding by oversaturating the ground, overfilling storm drains, or causing rivers to spill over their banks or levees. Flash Flooding. A flash flood is a rapid flooding of low-lying areas in less than six hours, which is caused by intense rainfall from a thunderstorm or several thunderstorms. Flash floods can also occur when there are drought-like conditions. Levees and Dams. The U.S. has thousands of miles of levees and dams that are designed to protect against a certain level of flooding. These structures can erode and weaken over time, and they can also be overtopped—or even fail—during larger flood events. Everyone is at risk for spring flooding, yet many remain unprotected. Just a few inches of water can cause tens of thousands of dollars in damage. Between 2006 and 2010, the average flood claim was nearly $34,000. That’s more than many survivors can afford to pay out of pocket for damages due to flooding, and without flood insurance, many must cover the costs to repair or rebuild on their own. Consider your risk and the consequences of a flood event, and make the choice to protect yourself. plan, put an emergency kit together, and keep important papers and valuables in a safe, dry place. Gather supplies in case of a storm, strengthen your home against damage, and review your insurance coverages. Only flood insurance covers flood damage. Most standard homeowners policies do not cover flood damage. Remember: it typically takes 30 days for a new flood insurance policy to go into effect, so get your policy now. Flood insurance is also affordable. An average flood policy costs around $600 a year, and rates start at just $129 a year for homes in moderate-to-low-risk areas. Visit floodsmart.gov (or call 1-800-427-2419) to learn more about individual flood risk, explore coverage options, and to find an agent in your area. Practice your family emergency plan. Plan and practice flood evacuation routes from home, work, and school that are on higher ground. Conduct a thorough home inventory. Thorough documentation of your belongings will help you file your flood insurance claim. For more information, visit http://www.ready.gov/insurance-vitalrecords. Go to higher ground. Get out of areas subject to flooding, including dips, low spots, washes, etc. Avoid areas already flooded, especially when water flows fast. Do not attempt to cross flowing streams. Just six inches of moving water can knock you off your feet. Never drive through flooded roadways. Roadbeds may be washed out under flood waters and just two feet of moving water can sweep an SUV off the road. holding moisture can develop mold within 24 to 48 hours. Clean and disinfect everything touched by floodwaters. Plan before you repair. Contact your local building inspections or planning office or your county clerk’s office to get more information on local building requirements. File your flood insurance claim. Be sure to provide: the name of your insurance company, your policy number, and contact information. Take photos of any water in the house and damaged personal property. Make a detailed list of all damaged or lost items. Following the devastating 2016 and 2017 hurricane seasons, FEMA followed four NFIP policyholders who experienced flood damage during Hurricanes Harvey, Irma, or Matthew and are rebuilding safer and stronger with the funds from their NFIP claims. Rupi Prasad purchased flood insurance for peace of mind during her retirement years. With help from the NFIP, she’s now rebuilding after Hurricane Harvey. Is U.S. Flood Risk Far Higher than Previously Believed? If a new study led by the University of Bristol is to be believed, 41 million Americans are at risk from flooding rivers, according to phys.org. That’s more than three times than the current estimate of 13 million people. The Bristol study is based on a new high-resolution model that maps flood risk across the entire continental U.S., whereas the existing regulatory flood maps produced by the Federal Emergency Management Agency (FEMA) cover about 60% of the continental U.S. The increase in numbers of those at risk is a result of the expanded coverage of the map combined with its ability to estimate flooding on small streams — something that wasn’t adequately captured in previous flood-risk models, according to the study’s researchers. The 41-million estimate does not include the millions of additional Americans that are at risk of coastal flooding — and the study predicts that more than 60 million Americans may be vulnerable to a 100-year flood by 2050. While it does make a terrific NU headline to state that U.S. flood risk is far greater than FEMA would suggest, is the situation as really as dire as it sounds? Should the findings of a research team at a U.K. academic institution to be given enough credence to change the way insurers — and the buying public — perceive flood exposure in the U.S.? PropertyCasualty360.com reached out to Peter Bingenheimer, Senior Vice President of the Consulting and Clients Service Group at AIR Worldwide, a leading provider of catastrophe risk modeling software and consulting services. (Bingenheimer works with AIR’s U.S. insurer, insurance broker, and reinsurance broker clients.) He commented on the findings of the study but not the validity of the study itself, since AIR has not performed a thorough review of the underlying model or methodology. We asked, what might the Bristol report mean for the way the P&C industry should view flood exposures in the U.S.? 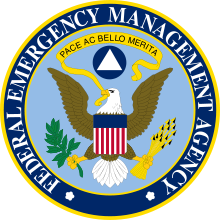 Are FEMA’s previous models really that reliable? Historically, Bingenheimer explained, FEMA maps are the standard by which flood exposure is measured in the U.S.: By and large they’re of very good quality, and an excellent benchmark. FEMA flood maps, he noted, have many strengths: They take into account a great deal of granular local data, but they do have their limitations in terms of “variation in their vintage” (a turn of phrase I now plan on employing whenever possible) and consistency in how they’re developed. Geographically speaking, he added, they do possess some gaps. “We’re now at an inflection point where science and data and technology can create better models than ever before, more complete, consistent views of risk at scale,” Bingenheimer stated. While the Bristol report won’t necessarily spur more major studies by U.S. modelers in the near future, he said, “it’s indicative of what you can expect to see more of” in years to come. In other words, just because U.S. cat modelers use FEMA as a benchmark doesn’t mean they believe the level of flood risk is what FEMA says it is. And the Bristol report does much to illustrate how much further research needs to be done on this side of the pond. The biggest takeaway from all this for insurers? “The findings of this report underscore a major opportunity that’s in front of the industry, because it highlights how much property is uninsured,” Bingenheimer added. For more information about the Bristol study, check out Environmental Research Letters, where it was first published. 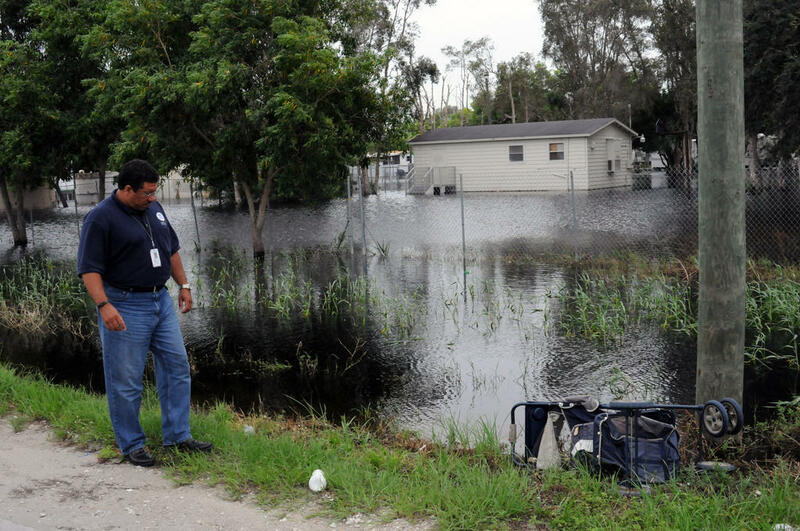 Tags: FEMA flooding insurance study trends U.S.